Hello! Francine here for day 4 of our Pixels & Co. Mini Madness week. I really loved Marnie's, Laura's and Carey's Albums and got some great ideas! Karla Dudley's digital kit, The Good Stuff with add-ons are so very versatile, that I was able to use it even though my mini isn't about family life! I recently noticed a trend in my Instagram photos: lots of pics of me looking down at my feet, and I wanted to compile them all into a mini. 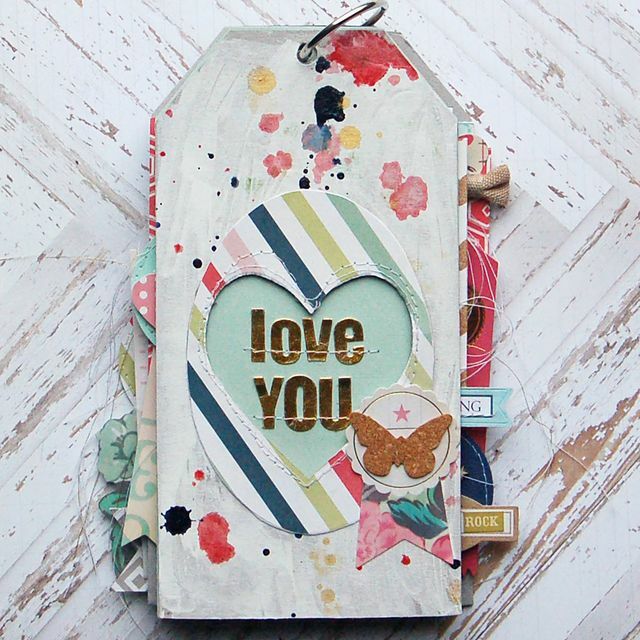 I used two 3x4 cards for the background, then added the title and some embellishments. I decided to use the same page base throughout the entire mini, all I would change would be the photo and embellishments. I used one patterned paper and one 3x4 card for the background, then added the wooden arrows, photo corner, journaling card and button flair. I chose this button because it has both an arrow, a heart and a geotag all symbols that I love. I'm very much into using symbolism on my pages! As you can see I carried some of the elements from the cover into the pages. I kept my journaling simple, using the captions directly from Instagram. Sometimes I got my son involved. This was a lot more complicated than it seems. It's hard to get a four year old to stand still long enough for feet photos! I'm planning to get this mini printed out as a photo book, but I also love Laura's idea of making an album for her phone, so I will also keep a digital version for us to look through on my Kindle. Thanks to Pixels & Company and Karla Dudley! This is a really great kit! Welcome not only to March, but also to March mini madness! We are so very excited to usher in our fourth annual Mini Madness month. This whole month we are focused on the mini in all its start-to-finish glory! To get the party started, we are thrilled to bring you 21 new minis in our new gallery, MiniMadness IV. Please click here to get to the gallery where you can see everything. Or watch for links below the images to get you to the albums! 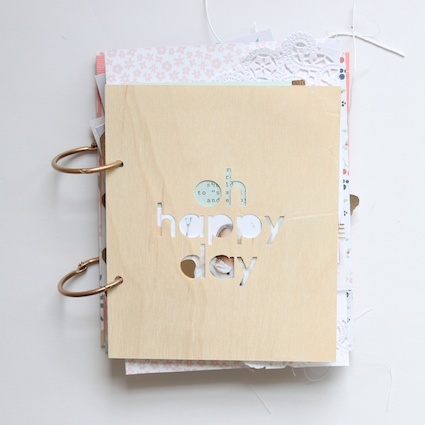 For this month gallery I made an easy peasy mini album using some journaling cards and only 1 ring. I mainly used 4x6 and 3x5 cards for this mini and just added some stickers, brads and stitches to finish the album. Especially new lines from Chickaniddy are perfect for baby girl's photos. So cute! and bright. :) I really enjoyed making this simple and easy mini album. You may see the remainder of Jina's mini beginning here. Maybe because this winter was so cold and I spent so much time indoors, too much of it on the computer, but I got sucked into lots of quizzes on Zimbio and Buzzfeed. I took screen shots of my results, sized them to fit these envelopes, and made them into this mini album. 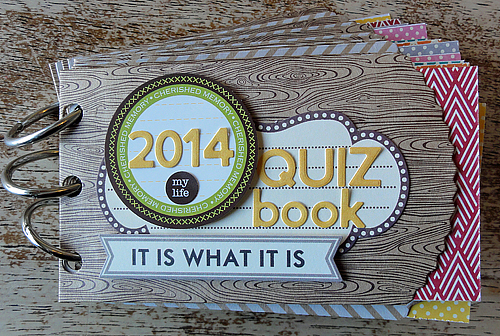 You can see the quizzes I took as the title for each page. In case you want to know the results of my quizzes, they are, in order, Portland, Oregon, Hermione, the 90s, turtle on a skateboard, Jasmine, King’s Landing, a Hobbit, Brave, Katniss, Crazy Harry, Carson, Scar, Tyrion, and Princess Leia. You can see the remainder of Jenny's mini beginning here. I totally went for the mushy factor with this mini. I just wanted a quick reminder of everything I just love about my sweet family. I am so ready for spring, and to put my snow stuff away for the season! You can see the remainder of AmyC's mini beginning here. It is a second winter, when there is a lack of snow, and kids are a little bit frustrated. To document this, I used photos taken last year, in the first days of January 2013. I took them with my iPhone and Hipstamatic App, and I used for the album papers in muted colors . Added some stamped phrases, funny chipboards and Dymo stickers. I really like the mood of this album! We've got a spring-like weather already, but I'm so afraid of snow in April, just like last year. It was so annoying, hope it won't happen this year. You can see the remainder of Monika's mini beginning here. I created this mini album for my son to take with us on trips. He really misses our dog Copper when we're gone and she can't come along! Looking at pictures of her makes him happy. I already have the Disney movie Frozen pre-ordered so I'll get it the day it is released in mid-March. I just love Disney musicals and will sing right along! You can see the remainder of Carey's mini beginning here. Mini albums is what got me into paper from being just a digi scrapper. I don’t do many mini albums nowadays, since most of the events get documented in my Project Life album, but this fun Amy Tangerine daybook was the perfect avenue for these photos from a vacation we took in the summer of 2012. The photos are all taken with our phones. All our friends are obsessed with Downton Abbey, so we’re organizing a Downton Abbey-themed dinner for the beginning of March. That should be fun! You may see the remainder of Cristina's mini beginning here. I made a little different kind of minibook this time. 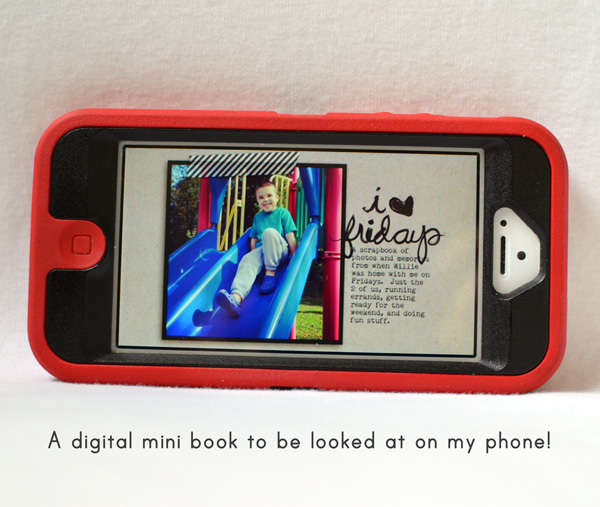 I am recording our everyday life with Project Life and wanted to be able to incorporate the mini in PL. I used 2 page protectors from Simple Stories with 4 pockets sized 3,4”. I started out doing the journaling. I typed out a list of 35 things about me right now (I turned 35 on the 22nd!) on my typewriter. Then I just trimmed the pattern papers and lists to the right size and slipped everything in the pockets. As you can see I have minimal embellishments and just 2 photos. I love how it turned out and it looks great in my album! #7 I love breakfast. Especially breakfast in bed! You may see the remainder of LisaO's mini beginning here. Pardon my less than charming sub-title. I just felt the need to tell it like it is. But making the album really helped me look back with fond memories of this summer. I don’t usually use my handwriting in any of my scrapbook pages or albums, but I was traveling, and so it had to be done. My husband does almost all of the cooking and baking in my home. You may see the remainder of Aliza's mini beginning here. This album was meant to be SUPER simple. I wanted to letterpress details to keep it feeling very elegant and interesting, yet not fussy. There are a few embellishment, but the focus is really on my favorite photos of 2013. My 12 year old son is now 3 inches taller than me! You may see the remainder of Jennie's mini beginning here. When I started this mini album, I wanted to have a “messier” book full of various page sizes and photo sizes throughout. 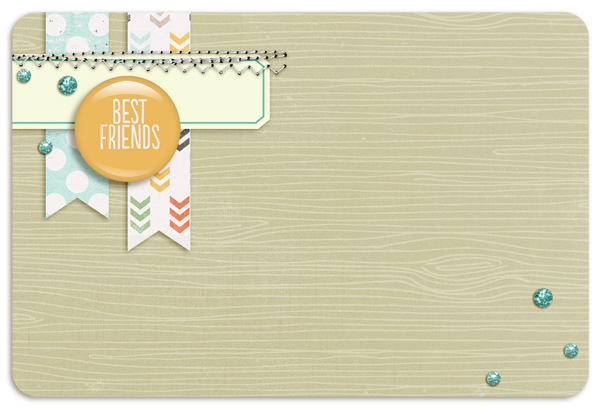 I started by using my Silhouette Cameo to cut my title onto the wood veneer paper from the Gossamer Blue March kits. From there, I trimmed down various pieces of patterned papers to fit into my book. Then I started layering and adding my photos onto each piece. 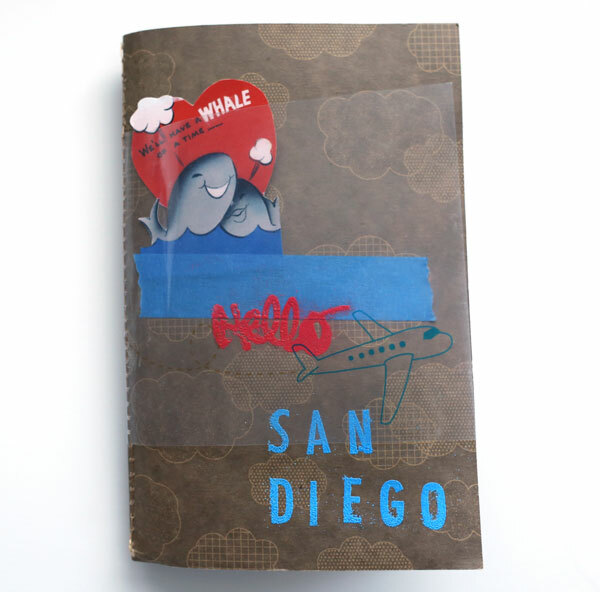 Once all of the photos were into place, I grabbed out my embellishments and decorated each page (my favorite part!). My daughter turns 5 this month on we have been counting down the days since January. I can’t believe my sweet baby girl will be 5 this month. Time goes by too fast! You may see the remainder of Stephanie's mini here. I made this mini album in secret to give to my husband Todd as an anniversary gift. I worked on it sporadically over a month, whenever he wasn't home! March is my birthday month! I usually invite my most favorite friends for a birthday dinner to celebrate the occasion. You may see the remainder of Christine's mini beginning here. I wanted all the pages from this father-son fishing trip to be cohesive - same paper, same elements, same font, etc. Perfect opportunity for a mini album! We doubled the size of our garden last fall and I can't wait to get outside. We're so close to planting time! You may see the remainder of Kate's mini beginning here. This is a digital mini book sized for viewing on my phone. The size of the full screen iPhone5 is 640 x 1136 pixels. I used this as my canvas size to make these layouts, then emailed them to myself and added a new album on my phone's Camera Roll to put them into. Since my phone is always with me I think this will be the most looked at mini book I've ever made! My Fun Fact for February was that it was my wedding anniversary. Well, guess what? My husband and I both totally missed it! First time in 17 years this has happened. Oh well. You may see more of Laura's mini beginning here. I went pretty small this time with my mini. It's made almost entirely of journal cards from My Mind's Eye new Record It Just Splendid collection. 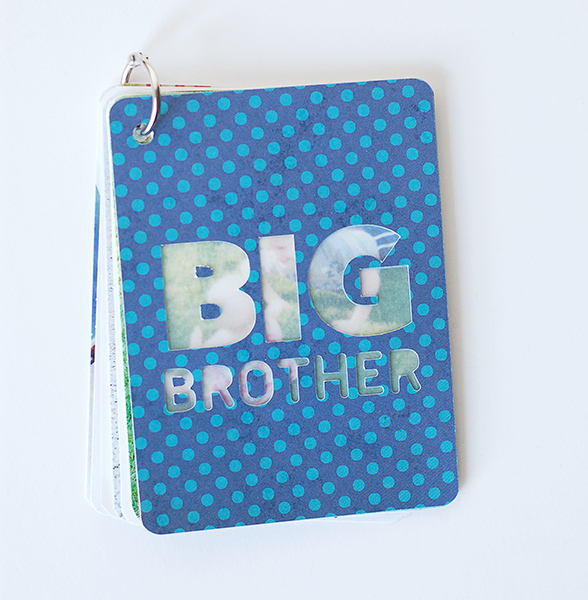 It's the perfect little book to celebrate my son as a big brother. I started reading for fun again this year. Number of books read so far this year = nine. You may see the remainder of Valerie's mini beginning here. After several years of Mini Madness here at write. click. scrapbook. I now know that I prefer to make my minis from scratch, rather than using a premade blank mini album. That way I can make it the size and shape that works with my photos. For this mini I used kraft cardstock for the foundation. 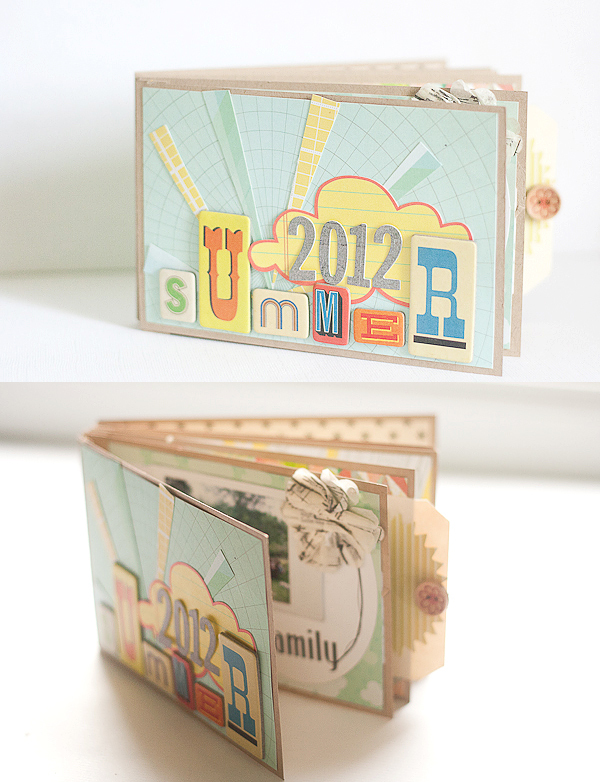 I then dug into my stash for papers and embellishments to suit my summer theme. Some of them are quite old! I am so happy to finally document summer of 2012 with these Instax photos. My reading goal for 2014 is 60 books. Last year I read 52! You may see the remainder of Francine's mini beginning here. I created this mini album a while ago but haven't had a chance to post it up yet. When I know this month theme is going to be Mini Madness, I know I gotta save this mini albums for the gallery. This is by far my favourite album, inspired by the awesome mixed media scrapbooeker Celine Navarro, to use a lot of gesso and mixed media techniques here. Wanted to keep this album simple and airy, hrmm….. 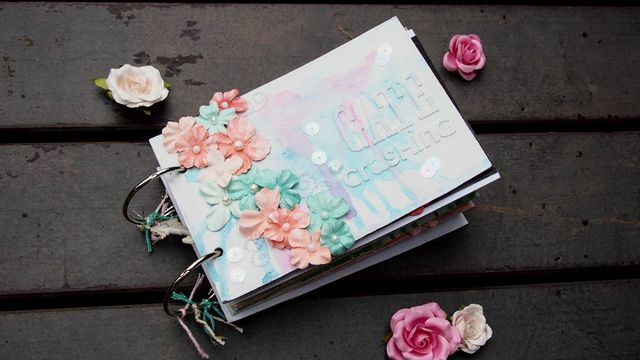 This album turned out to be quite bulky and also heavy due to the flowers, the paints and mixed mediums. For those who want to give mixed media technique a try, this is gonna be a fun one! March is gonna be a busy month again for me! Okay, it seems I have been saying that every month ;) But March is my baby boy's 1st birthday (no longer a baby) and also my first going for a week's baby-less trip. Let's see how I cope without a baby and also rushing for assignment due dates! You may see the remainder of Sam's mini beginning here. I made a simple mini-album using this 2-up photo album scrapbook to document our trip to New Mexico. The photos and bits of memorabilia tell the story. 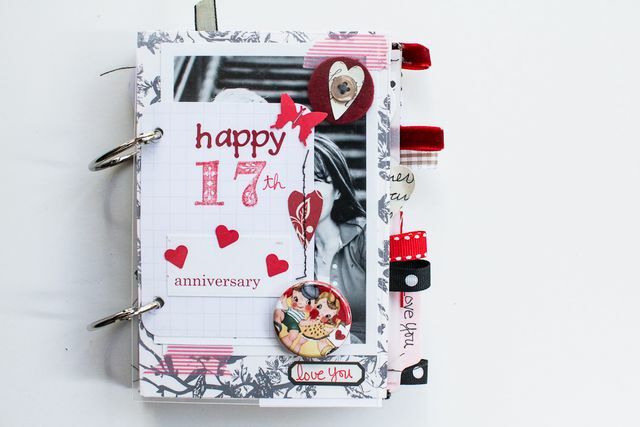 I also scrapped some of the photos on 12x12 layouts with more extensive journaling. We are only 6 weeks away from welcoming our granddaughter into the world and getting very excited to meet her! You may see more of Sue's mini beginning here. It took me a few months to figure out what I wanted to do with some of the photos I took of our trip to France last June. When I discovered the Waterlogue app inspiration finally took hold and I used it to turn highlight photos of our trip into watercolors. I printed the watercolors on muslin by adhering the fabric to cardstock with a repositionable adhesive and ran it through my printer at home. Last month I watched my son compete at the Texas state wrestling tournament! I was one proud mama when I watched him stand on that podium and receive his medal for placing 6th in state! You may see the remainder of Diane's mini beginning here. Last year on Mother's Day, I wrote a Facebook post with ten things I learned from my mom. I tagged her, of course, and she does use Facebook...but not very well or very often. It made me a little bit sad that she never saw that post (nor the nice comments left by friends who know her). So I decided to make a little album to give her this Mother's Day. Since I wanted to include more than just ten photos, I expanded my list to 24 things I learned from my mom. The items are fairly random, and so are the photos. I did a search in my photos directory for pictures with my mom's name in the tag, and then I picked my favorites. I tried to get a wide variety of pictures. Some have me, my kids, my nieces and nephews, my sisters, and just my parents, but they all have my mom in them. The oldest is from 2003 and the newest from December of 2013. Not all of the pictures were taken as landscape pictures, and I wanted them all to run the same way, so I cropped the vertical ones smaller, so they'd fit in the 5x7 pockets in the album. Then I just used the remaining white space as the place for the text. To unify all those colors in 24 different pictures, I kept the text very simple and I left a lot of white space. I used two pieces of patterned paper from Pebbles' Garden Party line and cut them into scalloped borders with my Silhouette. I used both sides of each pattern, so I had four repeating patterns that I edged each text space with. I confess: this is the FOURTH mini I've made in these 5x7 Pioneer album. 5x7 is the perfect size for a mini I think! I'm really excited to give it to my mom on Mother's Day. Plus...I'm feeling proud of myself for being finished with a project so early. Usually I am finishing it up the day I give it! My favorite color of running clothes is pink. You may see the remainder of Amy's mini beginning here. And that is just the beginning! We have 16 more minis coming your way and 4 amazing giveaways. It's going to be a fabulous month!! Promise you'll stop by each and every day? Finishing Up or Planning Ahead or Both! Happy New Year! Hi friends! It's Marnie, here for the next two days to put together a few projects that can help you put 2013 to bed, or perhaps get you off to a good start in 2014. My mom reminded me (gently) the other day that I hadn't sent a year-in-review book for a couple of years. It was in the middle of my holiday prep and I knew I hadn't the time to do anything about it. But now, if I ignore all the housework and laundry that needs to be done, I think I could start it! I put together a template for a book so that I might get twice the use from it. I am looking forward to using it to compile a book for last year, as well as to build one for this year. I would like to say that I will keep up month by month, but I know myself well enough to know that I will probably be scrambling at the end of the year to finish it! Here is the monthly page sketch. I based it upon a month by month year book I made for 2011. I made the book with 6x6 squares figuring I could change it up as necessary. (I love how 12x12 becomes 6x6 or 3x4 or 4x3. So helpful!) I thought this would give me the flexibility to make a photobook or use divided page protectors. Beginning with the sketch, I put together a two page spread for June. Last time I made a double spread that listed all the details of the photos. This time I wanted to put the details on each of the spreads, so I deleted the ambiance photo and added a journaling square. I like how it turned out. Now, just 11 more and I can send a book to my mom! And my mother-in-law! 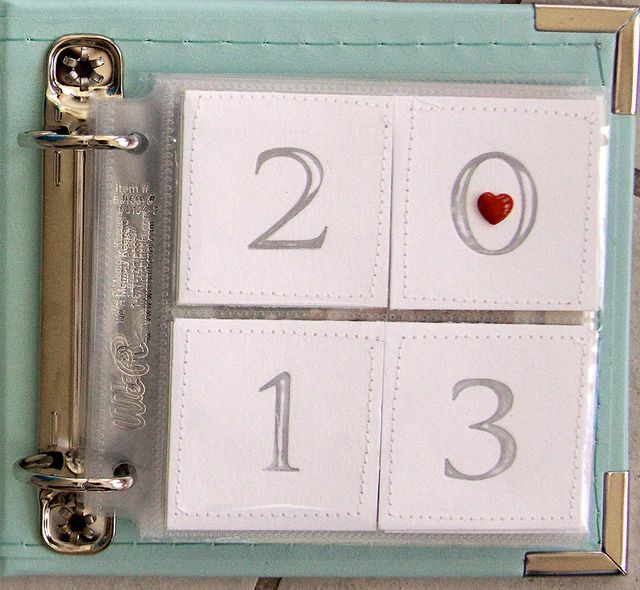 I hope that this sparks an idea for how to document your year! I love these sorts of compilations for our family, both immediate and extended. It's a fun addition to our regular scrapbooks. Thank you for stopping today! I'll be back tomorrow with another idea for finishings or beginnings! Welcome back! Did the showcase of layouts yesterday spark any ideas for you? I sure hope so! And today I am sharing even more ideas for using Instagram photos. 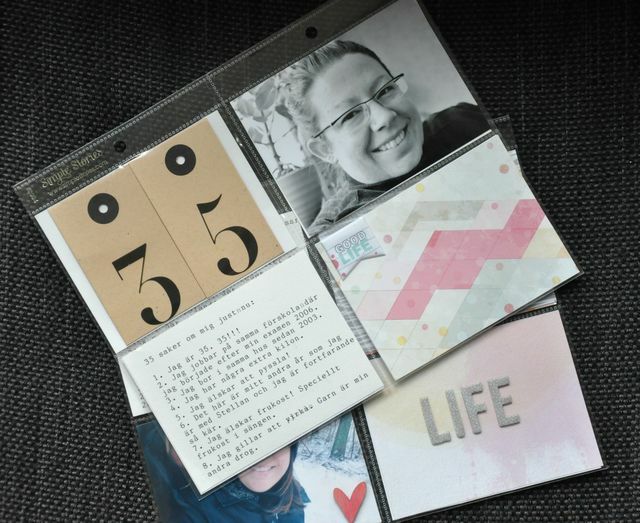 Because of their size and square format, Instagram photos are perfect for using in mini-books and also in Project Life or other pocket page memory keeping albums. Here's some proof. Instagram, or camera phone photos, are perfect when you're on the move, especially if it's an activity packed trip. I made a mini about one of my Wednesdays with Kieran. I scrap about these Wednesdays a lot, because they are so precious to me. Plus come September 2014 they will be no more as he will also have school on Wednesdays. You might remember seeing it in our March Mini Madness gallery. To recap, I made each page the size of the photos (4x4), and my journaling is just the captions I used when I posted the photos on Instagram. 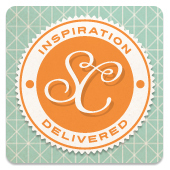 I came across this simple mini over at Postal Pix, which incidentally, is another company that prints Instagram photos. 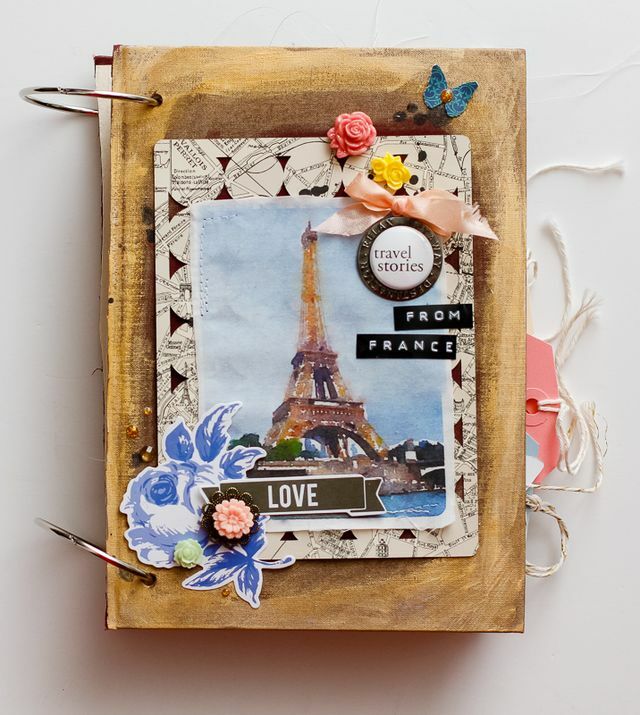 They have a complete DIY showing how you can make a matchbook album like this for a brag book, or gifts. 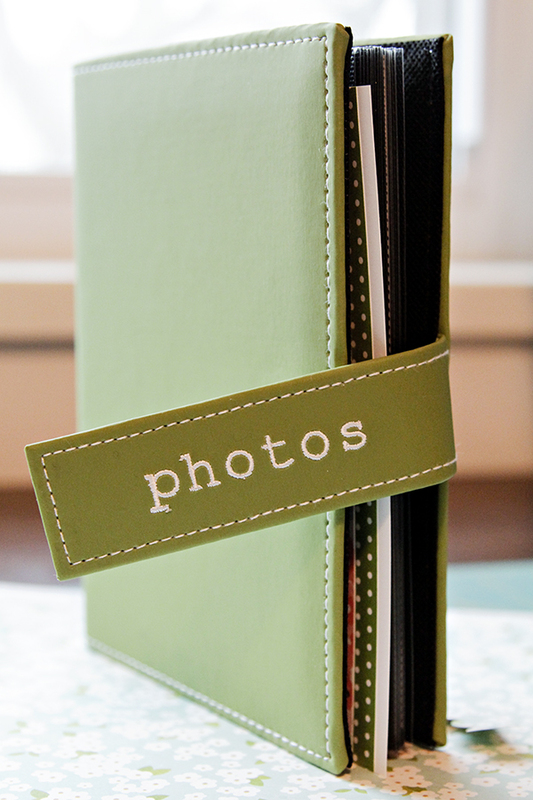 Finally for mini-books, you can make photo books as I mentioned on Monday. Persnickety Prints offers this service, and so does Blurb Books. I made a Blurb Book back in February and love it. Blurb has a special right now too! 20% off print books until October 7th when you use the code EARLYBIRD20, so go check them out! With project Life and other similar products so popular now, I couldn't leave them out! Here are some ways the team uses Instagram in Project Life. The Polaroid prints from Persnickety fit in the 3x4 pockets perfectly! 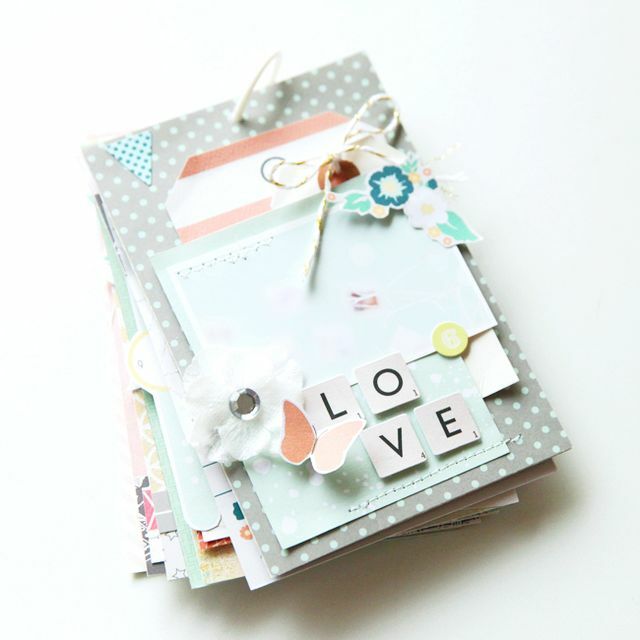 Here's a great post on their blog from Kristin Tweedale, about how she uses them in Project Life. This summer we put together a photo challenge for you. We had asked you to take photos that would be iconic summer images that would help capture summer 2013. Earlier in the week we set out ten quotes and asked you to pair your images with those quotes. And now the fun part comes! 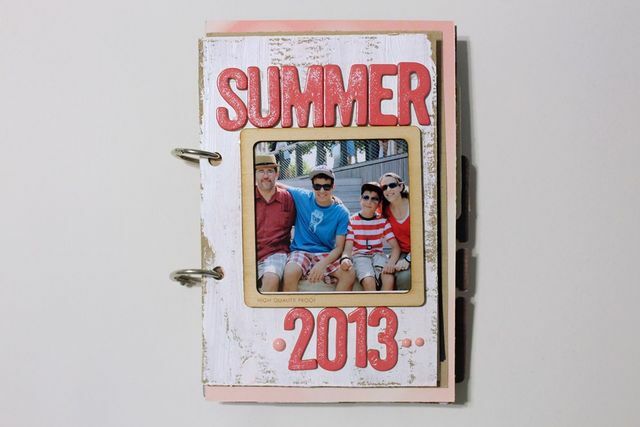 The final piece to this summertime challenge is a mini album! 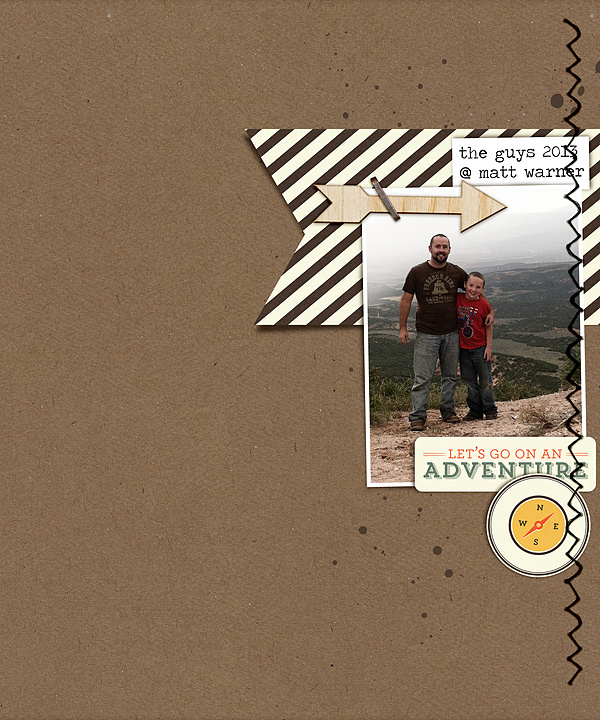 We have created 11 digital pages that you can use to create a mini album with your images. You could print them at home, and assemble a minialbum at home, or you could drop them into a photobook and have it printed up. Marnie put together a sample photobook. She also followed some directions she found online for making a mini mini and used four of the pages to put together another tiny mini. It is eight pages printed on one 8.5 x 11 making it a mere 2.875" x 2.875". We hope you love the album with its arrows, stripes, dots, and happy summer colors. We are pleased as punch and happy as clams to know that you, too, can have a fun summer album in just a minute or two! Happy summer's end. Tomorrow is launch day! Can't wait to see you then! 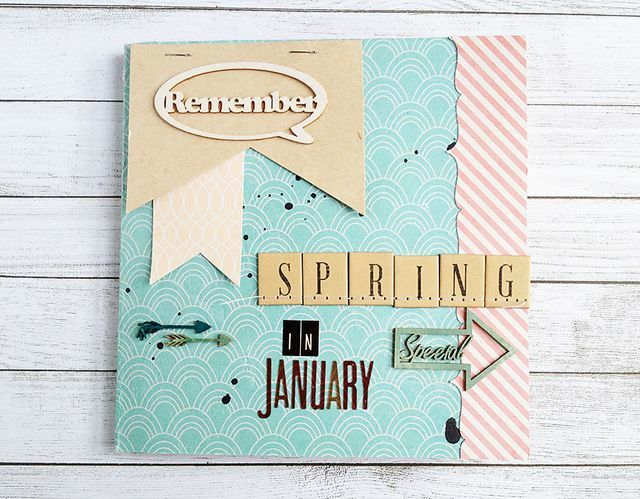 Did you have a moment to think about your upcoming scrapbooking goals and opportunities? I hope so! I also hope that some of your life will overlap with mine so that we can lean on each other for ideas and inspiration this week! Today we are going to tackle sports. It is a prime candidate for preplanning as it comes with a schedule. Which is where we are going to begin. As we plan to scrapbook a sports season, let's evaluate the season. I am going to chart out our football season. Would you like to take a minute and sketch out your season, too? For indoor training, there won't be any photos. (It starts at 6:15 in the morning which is hours too early for me. (Besides, it takes place in the gymnasium at school and I have learned to allow my children some boundaries. (hahaha!))) There will be a couple of pics from conditioning. A handful from practice. And tons from the games. We will also order the official school team and individual photos. Oh, and a few from the closing night social. Now, let's anticipate the pages we will make based upon our knowledge of the photos we will take. You know I don't love scrapbooking events. But that seems like a necessary evil if I am going to do something with all those pages. But I really don't like making event pages--there's just so little to say. So what if I made a minialbum or a photobook? You know I love those!! And I can build it on a template which seems like a terrific help in saving time and actually getting the photos and memories recorded. I am hoping the minialbum can also be the place where I record the indoor training, conditioning, and practice schedules. I think the official photo, and closing photos would work well here as well. 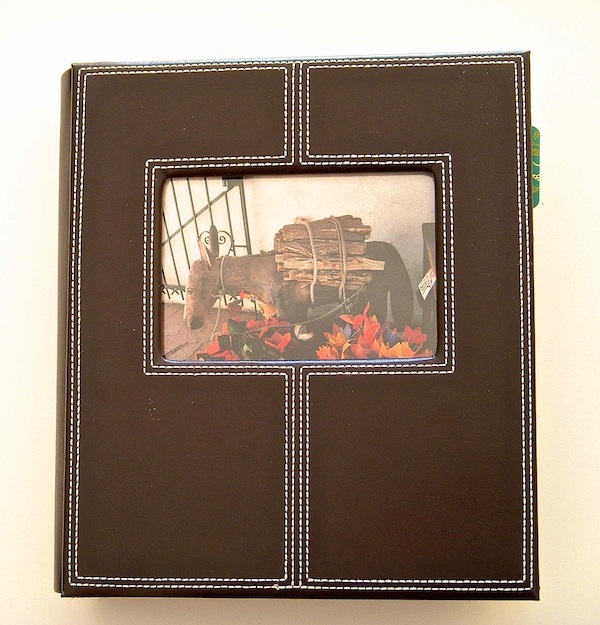 I am going to consider the minialbum the keeper of all things pertaining to the season. Behind the events, there are going to be pages. Touching ones about life lessons, overcoming obstacles, and having fun. For these, I can use training photos, or unrelated-to-football photos, or borrow from game day photos (knowing I will have so very many!). The scores can go in the photobook. The behind the scenes stories and memories can go on individual pages. Embracing my digi love, I am going to go with a photobook. But I really believe this could be reproduced with a paper mini. Color will be easy as I will opt for school colors. Pages 2, 3, 4, and 6 will be individual but with consistency. Page 5 (a through g) will be for game days. They will need lots of photos and a few details. For the cover, I decided to re-cycle a subway art I made for Nigel for his season last year. I updated it a little and will tweak it if I need to before I send the book in for printing. I am hoping, too, that perhaps this could become an annual book with a repeating cover, complete with updates, of course. I measured the photo from last year so I knew the dimensions. I used the same general format as the cover. And borrowed the gold color from the color of the boys' pants. Page two will be the team photo. I am going to have to find the schedules to add them in, but I did build the pages. I kept the same framework and colors. And am thinking I will add in a little extra stuff when I get the calendar done. (I changed a couple of the subheadings to better match the notes Nigel made for me.) I am so excited to have a way to document the details of the game, and to include lots of action shots. But my favorite part? Feeling like it is going to be successful due to the preplanning!! Woohoo! So far, we have two weeks of games behind us and I have both weeks already documented and ready to go. Which means I am miles ahead of last year. Ooh, having a plan feels so good! Remember my list of photos? We are all there, with the exception of the closing party. I think it will follow the structure of the game day pages for photos, so I am going to wait to make it. Just a couple of random thoughts... Were my book not digital, I could make an envelope page for the schedule pages, in lieu of writing out the schedule. Further, I realized in the making of this book, that I really want some practice photos. I am going to take a long lens and hide behind some trees and to get some pictures to help make a better looking schedule section. I really like the idea that the whole season of events is put in one place. From training to season end. And I really love that I already have two weeks done. But most of all, I love that in asking Nigel to write his thoughts on the games, I had a little extra time with him and had a chance to bond with him over something very important to him. And now he knows that it is important to me, too. What do you think? Will a mini or a photobook would work for your sport? We encourage sports for our children as it builds both their bodies and their spirits. (And for a teenage boy, it provides a lot of conversation starters!!) The lessons, successes and silliness will all be recorded in the kids' regular albums. Here is one I made after his game last week. Honestly, there's not a lot of preplanning that can go on with these pages, but when I take out the game day photos and madness, it makes the rest feel very doable. I hope this gives you a couple of ideas for handling the stack of sports photos growing as fast as your little athletes!! I also hope you will come back tomorrow for another way we can prepare to scrapbook those planned events for our new "year!" See you tomorrow!